Welcome to the LYPurpose Vision Board Party page. Many come to a point where they have dreams and desires for their lives and decide to do something about it. Many times we could use some help to get us on our way to converting those dreams and desires into goals–the vision. Still we could all use motivation to accomplish those goals as time progresses. This is where the Vision Board Party is very useful. The Vision Board Party is a strategy session that gives women the opportunity to explore their ideas with other women who are in a similar place in life. These sessions take advantage of the brainstorming and community aspects of the group as they help one another clarify and document their vision via the vision board (see images). Once the vision is clear, success is only “doing it” away. 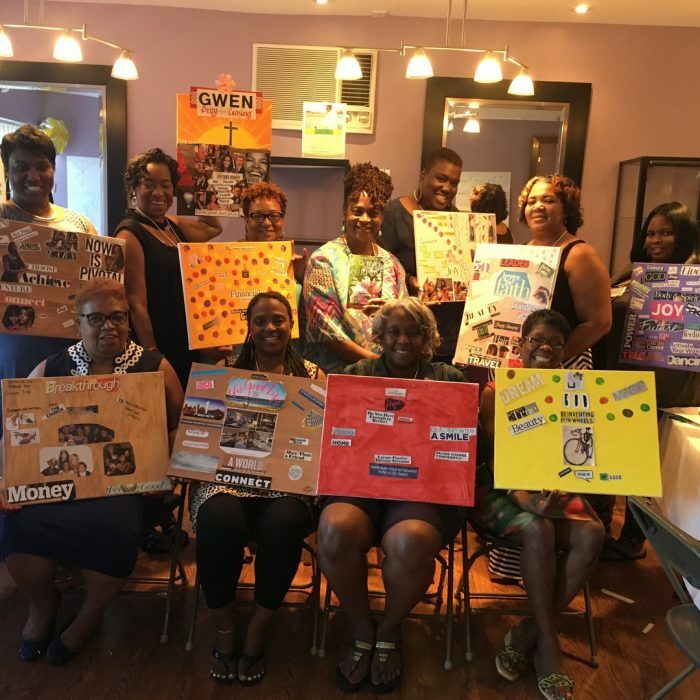 LYPurpose uses Vision Board Parties to provide a vehicle for application of the women’s ideas about what’s next for their lives in order to progress and make the vision a reality. These strategy sessions allow the women to explore their ideas with other women at a similar place in life, and thus keeping it real. 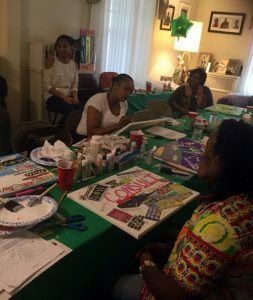 What are the benefits of attending a Vision Board Party? Each attendee comes away with a document (Vision Board) that is used as a guide for walking in their purpose. The vision board will help the attendees move forward in accomplishing their goals and obtain the success they desire. From this, the primary benefit of the Vision Board Party is the development of a clear vision and a tool to keep that vision in front of you long after the Vision Board Party is over. 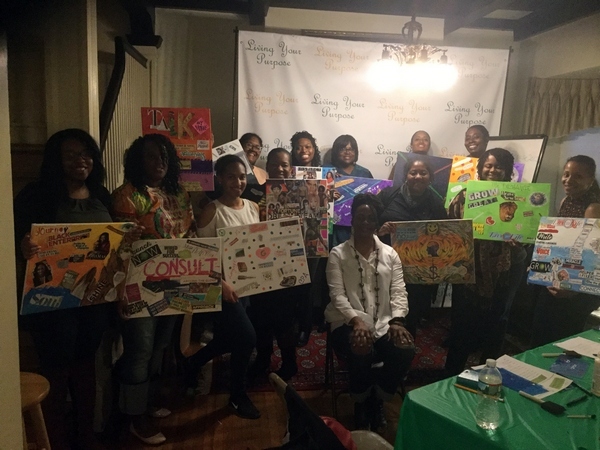 The beauty of the Vision Board Party is that the attendees help each other clarify their own visions, which provides a vehicle for accomplishing their goals and becoming successful. Refer 5 attendees & Get a Free 2-Hour online coaching session with Shawn. We empower you to discover and live your purpose by helping clarify your vision. Once your vision has been established, action steps are more clear. Understanding how we can improve ourselves, even in our current state, can be changed with a shift in mindset.